Dress: Vintage. Coat: Vintage. Tights: H&M. Boots: Frye. Bag: Kate Spade. 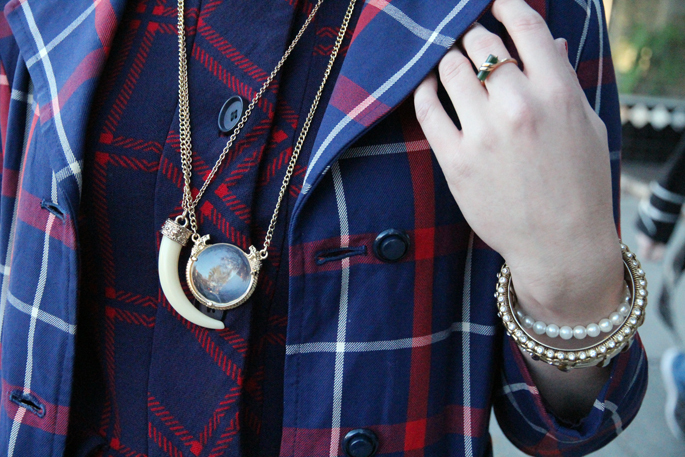 Necklaces: Kenneth Jay Lane (c/o ideeli), MishMash Boutique(c/o). Bracelets: Vintage. Watch: Skagen (similar style). Glasses: John Varvatos. I’ve been kinda smitten with the mismatched plaid looks I’ve been seeing lately, so I figured I would give it a try. I think it’s a fun look for cooler weather. 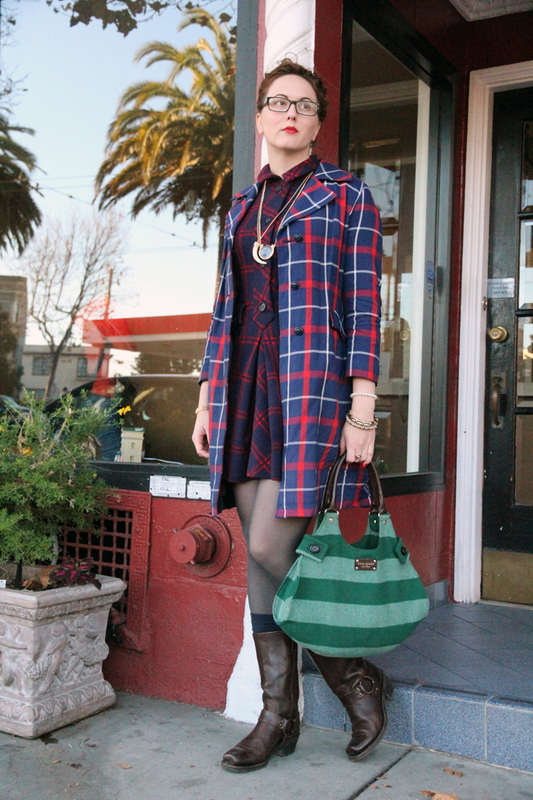 I found the jacket and the dress at the same little consignment store a few weeks ago while I was wandering around Noe Valley. On an unrelated note… the weekend went by way too fast! I had so many things planned and I feel like I barely got started on my to-do list. Such is life, I suppose. Here’s to a productive week! OMG! I loooooove this outfit!! 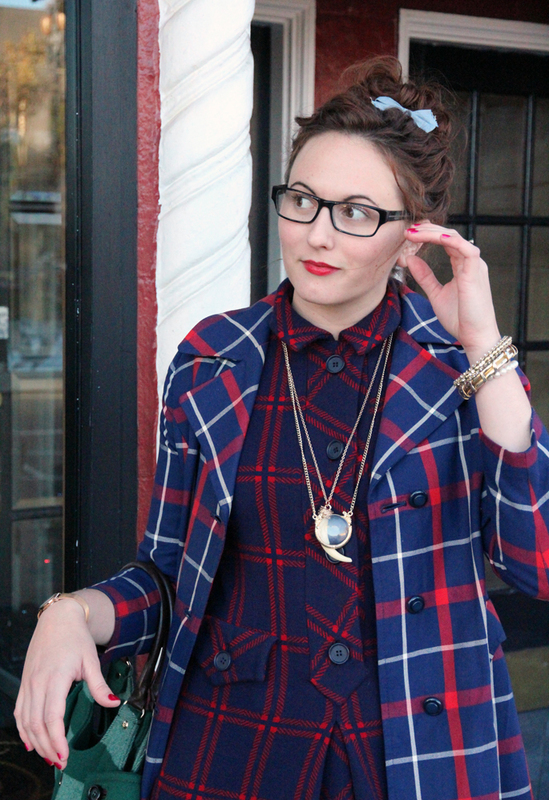 I also love the look of mismatched plaids but I feel it’s a very fine line of fabulous or bust! While I’m afraid of going bust, you pulled it off FABULOUSLY! !